Google is now aiming to make GIF search better on the Android and has announced that it is acquiring the Tenor startup for that. The Tenor is a GIF sharing startup which has evolved a lot from being just a keyboard on Android smartphone. Google says that the way people use the Google Images has changed a lot. According to Google, GIFs have become one of the more widely used choices to express emotions after emojis. 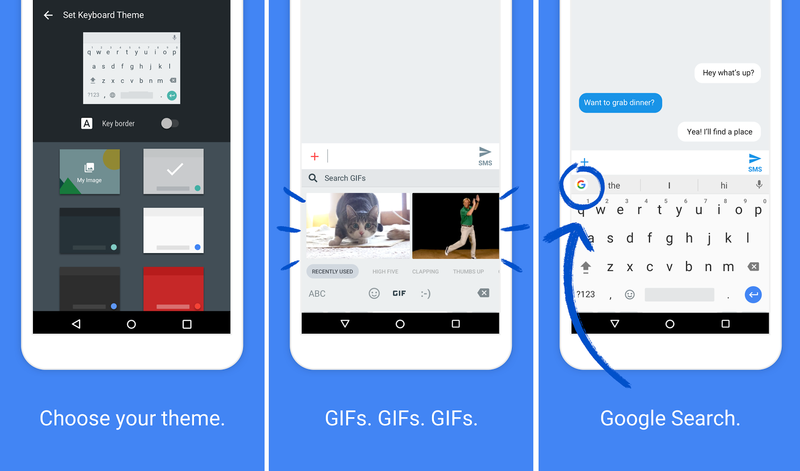 The Gboard app from Google which is a default keyboard in stock Android OS also comes with a GIF section to search and share GIFs in chats. To make the experience even better, acquiring Tenor is a great step from Google. Tenor is a GIF platform available for Android, iOS, and desktop. Tenor has a wide collection of GIFs so finding the perfect GIF for the perfect situation is very easy. Google is soon going to integrate the Tenor GIF search and the whole collection to the Gboard and other products as well. Google also clarified that Tenor will continue to operate as a separate brand and will continue to do what it is doing right now. Google will be investing in their technology and the content and the API partners. Tenor has been into GIF sharing for more than three and half years ago. The GIF keyboard on iOS has surpassed 300 million users in 2017. The CEO of Tenor, David McIntosh will be leading the Tenor teas as always with no changes.